• Create a new, not previously posted card that features some kind of die-cutting (manual or electronic). • You can submit multiple projects but they must be posted to InLinkz separately. • Please use the project provided for your inspiration. 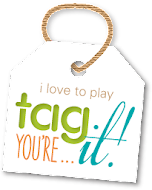 We'd love for you to mention in your submission how you interpreted the inspiration project, in case it's not obvious to the design team. • If you have a blog, please include the project inspiration graphic in your post. • You can link to Flickr, Splitcoast, or another online gallery if you don't have a blog. 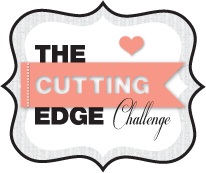 • Please place a text link to the Cutting Edge Challenge Blog in your post. • Link to your post and not to your entire blog when adding your project to InLinkz. 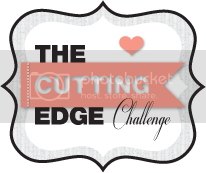 • Please consider adding the Cutting Edge Challenge badge to your blog. • Most importantly have fun, be creative and challenge yourself to try something new. Design Tip: You can interpret the inspiration cards in any way you please just as long as you use some element of the card. For example; line, shape, texture, color, pattern, sentiment, layout, theme etc. It should be obvious to our designers that your card has something in common or was inspired by the challenge card to qualify for a win. Challenge Schedule: Our challenge begins every other Saturday at 9:00 a.m. EDT. Our Winner and the Top 3 will be announced every other Saturday at 8:59 a.m. EDT. Facebook: We have a new Cutting Edge Challenge Facebook page so you can get important updates and special announcements. Please stop by, say hi and LIKE us while you're there!